Welcome to Brand New Nation! Dani & Kriss interview content creators doing what they love for a living. If you have questions about building your personal brand, growing your followers, and starting your business online, you’ll hear from today’s largest and most unique personal brands. Bloggers, YouTubers, photographers, writers, TV personalities—you’ll heard how much money they’re making (or not making) during the Moolah Scoop! 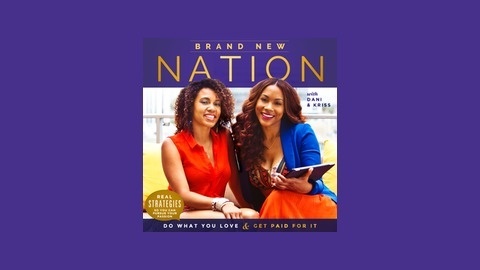 Each guest will share three turning points in their lives, and Brand New Nation is the only podcast with the “Moolah Scoop” These are today’s content creators and creative entrepreneurs making a living doing what they love. Hear from bloggers, YouTube stars, photographers, filmmakers, founders, models, TV hosts, writers, performers. 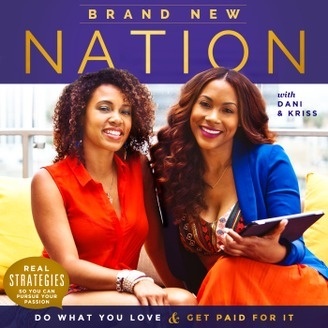 Head to BrandNewNation.com to receive the Make Money Blogging Manifesto to get your journey kickstarted.